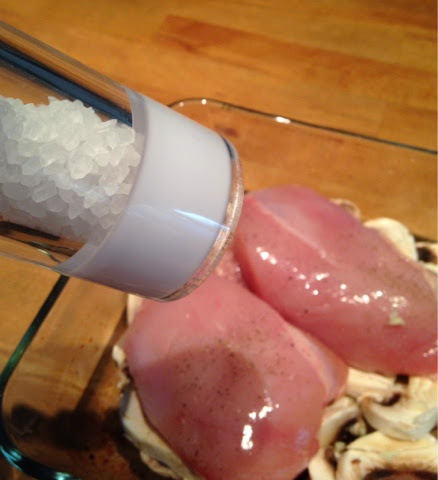 Chop the mushrooms and line a baking dish with half the quantity, then lay the chicken on top. 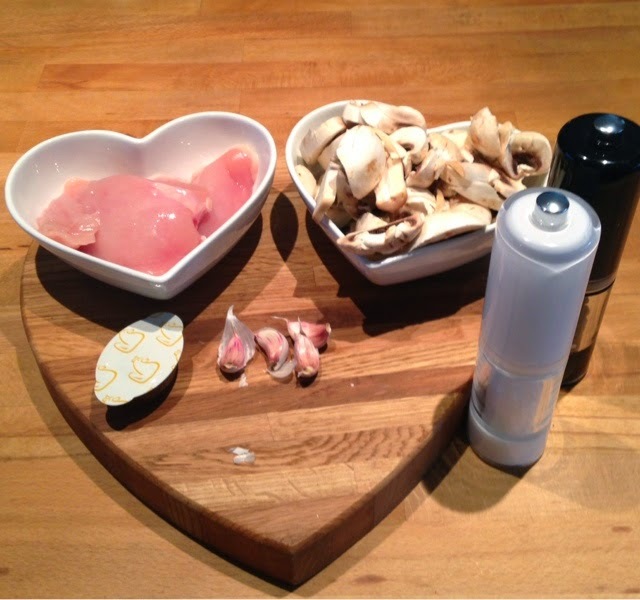 Cover the chicken with chopped garlic, salt and pepper, then cover the remaining mushrooms. 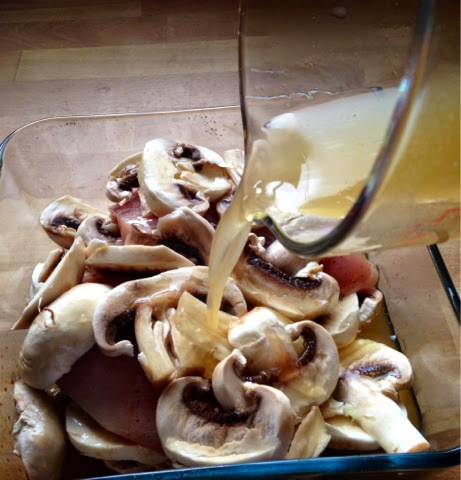 Mix the stock pot with 250 ml of boiling water and the wine, and pour over the chicken. Place in the oven on 180 degrees and cook for 40 Minutes, I served mine with veg and jacket potatoes. It tasted great, so much healthier than the version with loads of Wine. And really quick and easy to make. Previous Post 100 Happy Days, Day 38; Coming home at the end of a long day. Next Post 100 Happy Days, Day 39, Joe got the Merit.